Just a quick introduction for those of you who are new to the site, BadKing is a CG site specialising in FREE tutorials with the new added option of downloadable resources such as 3D models, brushes, etc. BadKing has recently revamped and relaunched its website so it could better serve its community. 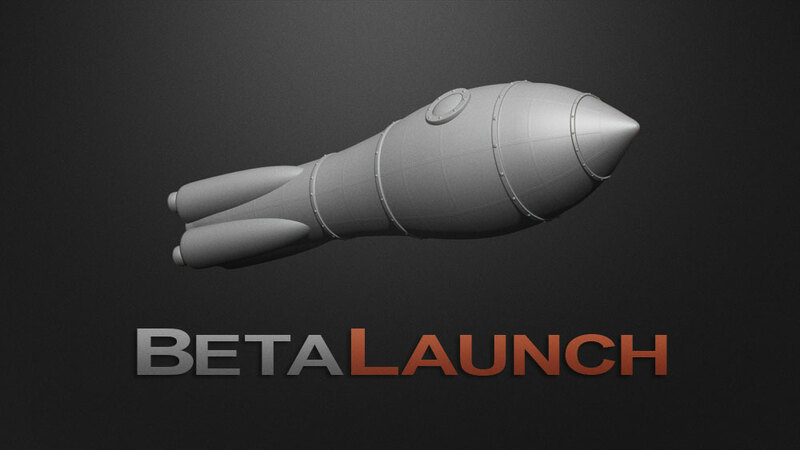 Whilst we have undergone vigorous testing prior to launch we need your help during our beta phase. The beta may have more bugs and speed/ performance issues than the completed version of the site, our focus at this stage is to reduce the impact to the end user. Multi-platform streaming for all mobile devices. Video captions in as many different languages as possible. A gallery for artists to feature their work. A suggestion box with an internal voting system. Users can offer suggestions as to future tutorials and content while others can vote the suggestions up or down. Tutorials to include additional software programs (as well as continuing Zbrush). The good news is that we have already researched and planned of all the above so it’s definitely possible. The challenge will be implementation with time and money being the deciding factor, but with your help we’re hoping that we can achieve this together. Please feel free to donate via PayPal, purchase Download Points, offer your services or even share your models, brushes etc with our community. We are always eager to hear feedback and suggestions so either leave your comments below or Contact Us. First off, thank you so much BadKing and everyone involved. I’m trying to get back into sculpting after several years and things have evolved so much. These tutorials, tip, brushes, etc. are a gold mine to get me back up to speed. Second, I just wanted to report a slight glitch when I was downloading, particularly a video. After I download a video (I hit ok) and then I try to go back to the previous screen, it re-downloads the same thing again. A pop-up doesn’t appear(for the download)but just downloads the same file again and so I have to cancel it. It has happened with all the video files so far. Hope this helps. Everything else on your webpage is smooth. Thanks so much for the kind words and feedback. Our tech guy is looking into the issue, hopefully it will be fixed really soon Good luck with getting back into sculpting and heaps more cool stufff to come on the BadKing site! Thanks so mach Good luck to you…. And no one mentioned a great styled design and functionality of this site! Thank you VERY MUCH that is more than generous of you. I will deff be promoting your site and will be making a donation. Fantastic site, I love the alphas, Can you tell me what the licence is on them as I create game assets. Thanks Anything that has been created exclusively by BadKing is fine as long as you are not selling the assets as they are. I’m assuming you’re using them to create assets and selling them as 3d models? For anything that has been donated (this will be mentioned in the product description) you will need permission from the artist. Hope this helps If you’re still not clear, send me an email with the product link and details. В туториалах не хватает подсказок, какие комбинации кнопок нажимаются. Thanks for all of your hard work. I find your ZBrush tutorials among the best out there. Very well explained. Thank you so much for your kind words mate, they are greatly appreciated 😉 Cheers! Thanks heaps, comments like yours inspire me to keep creating content Cheers! But not really. Got to tell everyone. It’s amazing! Liked the old site, like the new one as well ! very cool stuff and a nice site too! look forward to checking stuff out in ZB. ….Great stuff indeed….and the new design and ideas are outstanding! Thanks for all that you do for us out here! This is a great site with some fantastic downloads. Copyright © 2019, BadKing.com.au Page generated in 1.51 seconds ( 100.00% PHP, 0.00% MySQL ).